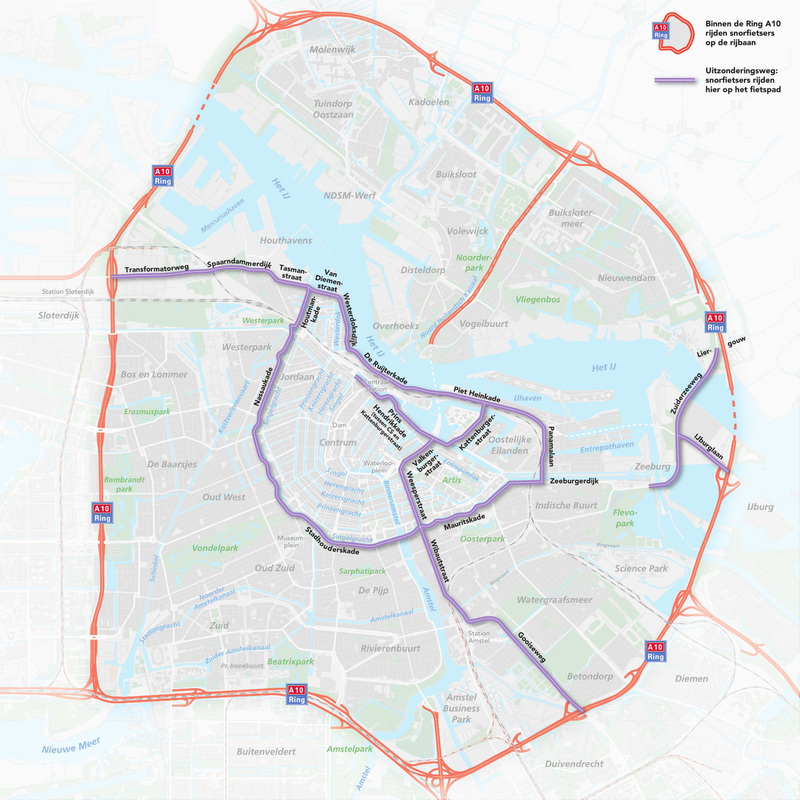 For safety reasons, from April 8, 2019 onwards it is compulsory in Amsterdam to ride with a scooter on the road WITH a helmet. How this works exactly, both in general and for the felyx e-scooters, you can read down here. Always ride safely with a helmet. Per e-scooter, two helmets are present. With the felyx e-scooters you ride, just like other scooters, on the road instead of on the cycling lane. With the felyx e-scooters you still ride 25 km/h. Although from April 8, 2019 you generally ride on the road, some exceptions exist. Outside the Ring A10, for example, you do ride on the cycling lane. Within the Ring A10, some exceptions exist as well, which you can see on this map. These signs tell you where to ride. If so, how does this work? Yes, as per April 8th 2019, scooter drivers (also electrical scooters and scooters with a blue license plate) are obliged to wear a helmet. Felyx users do not need their own helmet. Every e-scooter is equipped with one or two felyx helmets. Most of our e-scooters will be equipped with two helmets. In the app, it will be visible whether your e-scooter contains one or two helmets. You can find the helmet(s) in the top case, attached on the back. The top case can be opened via the felyx app (this is only possible when the e-scooter is active!). What should I do with the helmet(s) if the battery of the e-scooter died or if I cannot open the buddy seat anymore? We advise you to contact our customer service directly. You can find the telephone number in the app, the website or on the sticker on the inside of the e-scooter. Our customer service is happy to help! How does felyx retain the hygiene of the helmets? In the buddy of each scooter you will find hairnets. Users are kindly requested to wear there underneath the helmet in order to protect the hygiene.